Paragon is our very own, Mann's Music name brand! We endeavour to offer our customers competitively low prices without incurring a sacrifice in sound quality. Our J002CE is truly exceptional value! 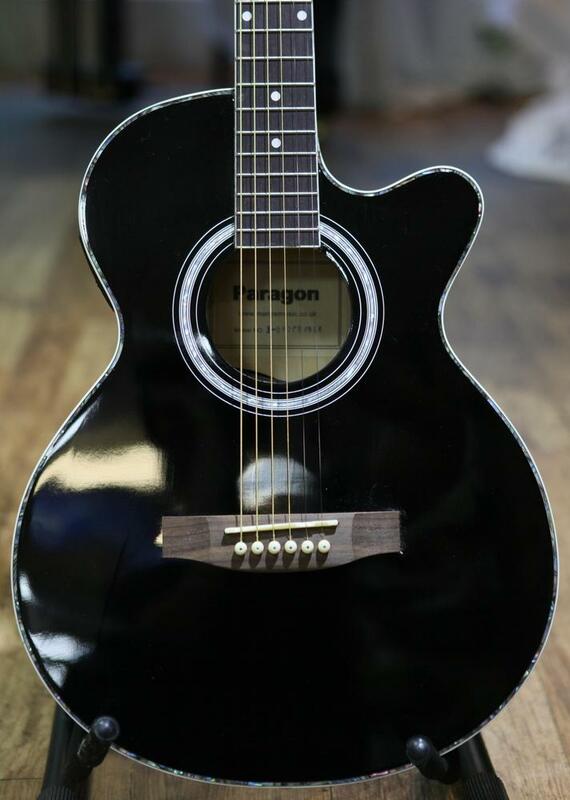 Paragon models are manufactured in the same factory as some better-known guitar brands - so we're able to offer a staggeringly low price for this beautiful, thin line, auditorium body, Electro-Acoustic instrument. Decorated using Venetian cutaway, this model includes a passive, Tone and Volume pick up system. The J002CE is ideal both for recording and putting through external amplification. Other great features include a high quality gloss quilted maple laminate top, rosewood fingerboard and high-quality, chrome hardware. Additionally, this gorgeous instrument boasts a beautiful, imitation mother-of-pearl bound body and neck. Body - Quilt Effect Maple Laminate. Finish - Available in three finishes, Gloss Black, Brown Sunburst or Red Sunburst. Pickup - Piezo under bridge. Controls - Passive Tone and Volume. Detail - Mother of pearl effect binding on body and neck. Dimensions - Length 100cm, Width 36cm, Depth 9cm. Representing the very best in value for it's designated price range, it comes highly recommended for the guitarist on a budget, or beginner not looking to break the bank on their first purchase. One characteristic cheaper acoustics usually have is that they tend to lack the deeper bass tones - and as a result, tend to sound thin and disappointing. 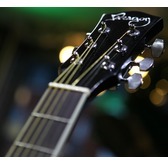 Our Paragon J002CE however, has a hefty bass response and as such sounds great, both for strumming and fingerpicking. 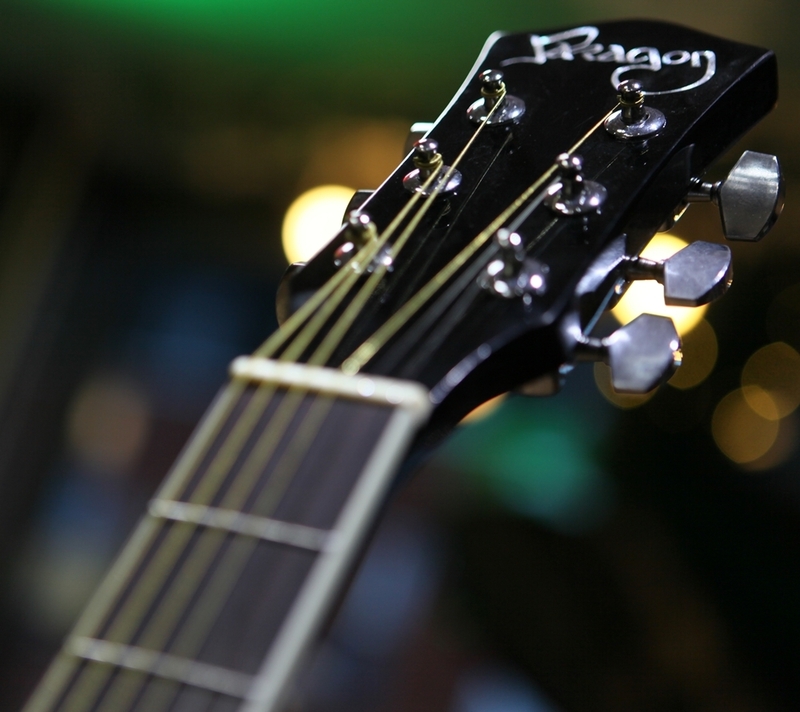 You'll have no trouble bolstering your favourite melodies with a nice full tone! For a cheaper guitar the setup is also decent and it arrives perfectly playable, straight out the box. This means it requires little in the way of preparation - the strings aren't too far away from the fingerboard, making them easy for a beginner to hold down. 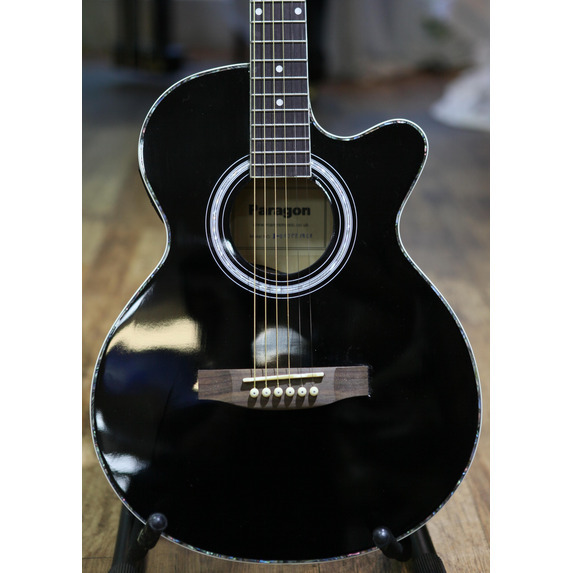 Dimensions-wise, this guitar is perfect for smaller players, as it errs on the smaller side as far as acoustic instruments go. The body size is classified as a Dreadnought. 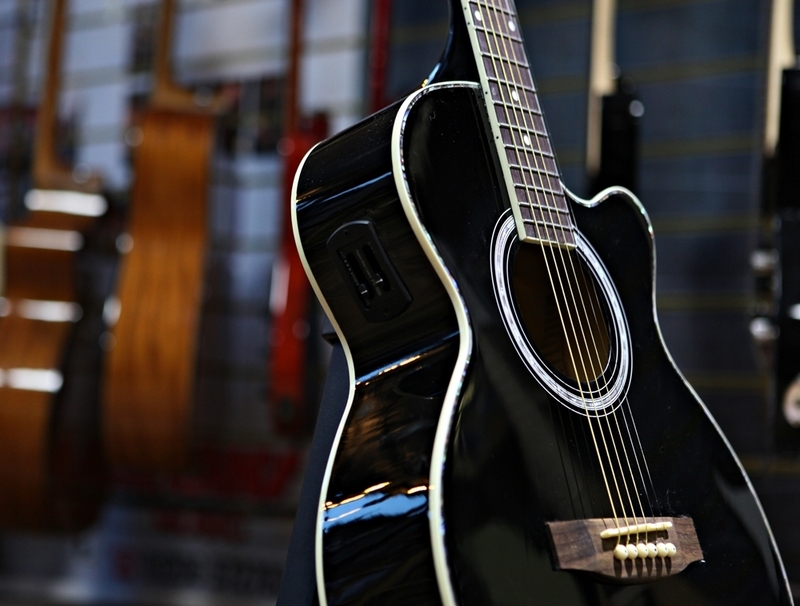 This is the most popular guitar shape as it is versatile and can cover many styles of music including pop, country, folk, blues and acoustic rock. 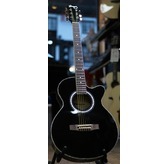 It's a smaller, full-sized guitar, so is generally suitable for players aged 10+. The guitar comes ready-fitted with steel strings and will hold its tuning well once they've been tuned up and stretched in. 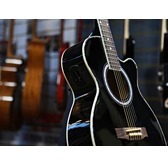 There's also a strap button fitted on the bottom of the guitar for playing whilst standing up. 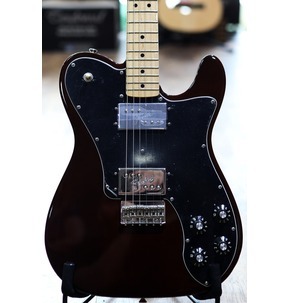 In summary, this guitar is fantastic value for money and offers players the essentials - excellent tone, stable tuning and comfortable playability! Because we receive these guitars directly from the manufacturer, there is no middle-man to speak of, which allows us to sell these beautiful instruments direct to the customer, at the low price we do. It alleviates shipping ETA, and means that should you experience a fault or issue regarding your purchase, any concerns are personally handled by ourselves. 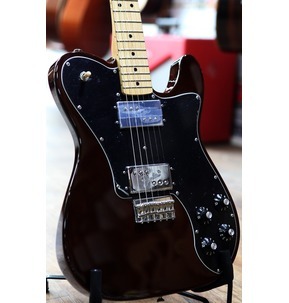 Like its ancestor, the Classic Series '72 Telecaster Deluxe guitar rocks a pair of Fender Wide Range humbucking pickups and a quartet of skirted control knobs. 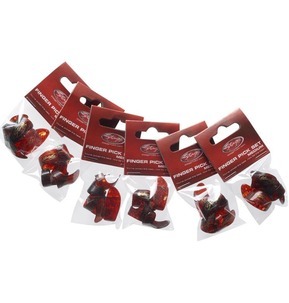 Stagg plastic thumb and finger picks come in a pack of 5 including one thumb pick and four finger picks. 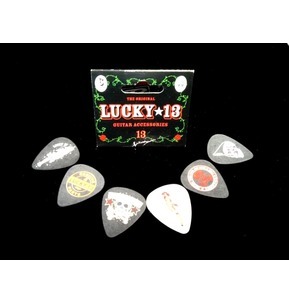 These quality picks give you the variety to play with either pick style and still produce great sound. "Really happy to be apart of Southend Makes Music this year! https://t.co/azpzfeq0Gc #cliffspavillion #southendmakesmusic https://t.co/nHX5Z4k0Lr "
The latest news, offers and events straight to your inbox.